Retail assets within the direct property sector remain attractive from an investment perspective with transaction volumes only restricted by market stock levels, according to Colliers' Retail Research and Forecast Report, first half 2017. The report says that following a softer global consumer backdrop and geopolitical headwinds have not reduced rents within Australian assets, particularly those on the eastern seaboard. Depending on the type of asset sought after, retail investors are presented with opportunities to maximise internal rates of return through optimising the tenancy mix or exploiting development opportunities. Additionally, those investors seeking more defensive positions have found refuge in Neighbourhood centres, gaining exposure to non-discretionary spending and reliable yields. "Disruption within the retail sector is gaining momentum as the likes of Amazon and Kaufland establish operations on Australian shores and recent arrivals such as Topshop and Topman launch e-commerce platforms for Australian consumers." "Australia’s shopping centre landlords are well aware of the challenges faced in the retail industry, and have been quick to adapt. While they may not be able to compete with new online entrants on price alone, they can differentiate on experience, service and atmosphere which explains their very deliberate move into high end food offerings and lifestyle orientated services." "Interestingly, it’s the consumer that looks to benefit most, as disruption drives down prices and bricks and mortar retailers look to improve experience and services. New platforms such as Amazon Marketplace will provide more depth to the current online offering available to Australian consumers, while also delivering end to end online sales infrastructure that was previously out of reach for many small to medium size domestic retailers. Excessive profit margins that were previously exploited by incumbent Australian retailers will now be eroded, as pricing structures and margins become more harmonized with global benchmarks." "We expect that average Sydney CBD retail yields will compress by 27 basis points to 5.07 per cent by first quarter 2018. Average Sydney CBD gross face rents forecast to increase by 1.9 per cent to $10,966/sqm by first quarter 2018. Sydney CBD retail floor space supply will peak at almost 69,000 sqm in 2020 due to the refurbishment of Harbourside Shopping Centre. 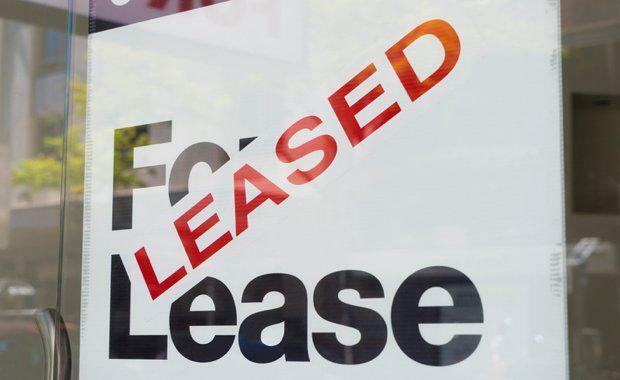 M"Leasing market Retail assets in Sydney’s CBD attract the highest gross face rents nationally and have grown at a faster pace than any other retail sector. Sydney CBD rents increased 16.32 per cent over the year to an average of $10,760, supported by growth across all major precincts." "No Sydney CBD transactions have been recorded since August 2016 when 77 Market Street (David Jones) and 66 Hunter Street (Rockpool Bar & Grill) sold on yields of 4.5 and 6.33 per cent respectively. In the absence of transaction evidence, our Sydney CBD yield range lies between 4.37 and 6.3 per cent with the lower bound representing the most recent valuation of Westfield Sydney. "Tenant moves and development activity Metro related compulsory acquisitions and withdrawals have had a significant impact on Sydney CBD office market, and the effects have flowed through to the retail sector. The withdrawal of 39 Castlereagh Street will see Tiffany & Co and Breitling move to new locations on King Street and Market Street respectively. Additionally the withdrawal of assets on the corner of Pitt and Park Streets has led to the displacement of retail tenants within the food and beverage sector. In terms of other significant tenant moves, we understand that Nike will be establishing a flagship store at 319-321 George Street while we expect there will be some substantial tenant moves within the Pitt Street Mall precinct to make way for a large international flagship store." "The Sydney CBD office market is in the midst of a significant development phase that commenced with Barangaroo in 2015 and will continue out to 2021 and beyond with projects from Brookfield, AMP and Lendlease. And as these projects reach completion, it’s becoming very clear that the standard of retail on offer for consumers is being improved with every iteration." "The major international sports retailer Decathlon has entered the Australian market with an online presence launched recently. We have seen the first application for their first Australian store which is in NSW. They plan to extend their stores with a focus on Sydney and Melbourne. Over the next decade it is expected that the store network will grow to around 40 stores. Decathlon have over 1,000 stores internationally with their head office based in France. Their offer is mainly private label based and are expected to take on Rebel Sport and Amart Sports, both owned by Super Retail Group."